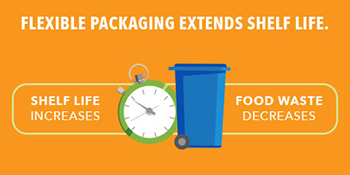 Flexible packaging reduces waste at every stage of its life. It requires less energy and material to manufacture, reduces transportation costs because of its lighter weight, and sends less material to landfills. 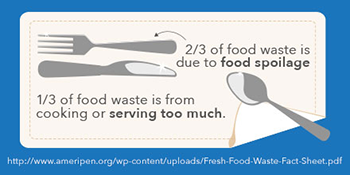 One of its greatest contributions is the reduction of food waste. 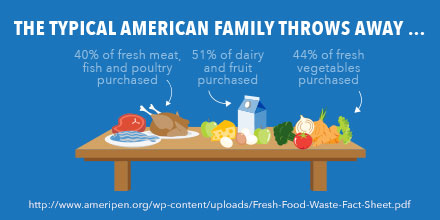 This is a major challenge in the United States where about one-third of all food produced is disposed of before it is consumed, resulting in 1.3 billion tons of food thrown out annually. New processing technologies are being refined for flexible packaging that promise to extend shelf life and freshness even further without the use of preservatives. They can involve vacuum packing, using extreme high pressure (high pressure processing – HPP) or even replacing the oxygen in a package with another inert gas (modified atmosphere packaging – MAP). Flexible packaging is well-suited to withstand these processes. The EPA has established a goal to reduce food waste by 50% (from a 2015 baseline) by 2030 through voluntary programs. Many other countries have set similar goals. Flexible packaging can help us meet these goals. E-commerce is experiencing global growth of approximately 20% annually. Since shippers charge based on dimensional weight (volume + weight), flexible packaging can reduce shipping costs and allow more items to fit on delivery trucks compared to corrugated cardboard boxes. Most clothing, footwear, and other lightweight items not prone to damage are well-suited to flexible packaging. In addition, e-commerce clothing and footwear products are returned at a rate of 20-30%, creating a great opportunity for easy open and resealable flexible packaging for easy return shipping. Flexible packaging producers and converters run highly efficient processes in which they achieve very high levels of utilization of raw materials. Some converters, for instance, have a material efficiency (percentage of product sent out of their facility against raw materials purchased) of over 99%. They have achieved high levels of efficiency by implementing a number of waste reduction measures. Most manufacturing scrap is reground and used in production of new flexible packaging films. Additionally, much of the waste materials that had previously been sent to landfills is now sent to other manufacturing outlets to be turned into other products like plastic lumber, high strength pond liners, and flower pots.